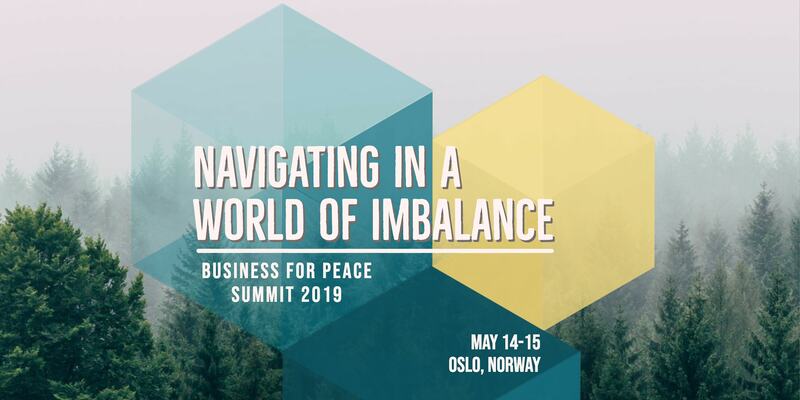 Business for Peace is pleased to announce the theme of the 2019 Summit: Navigating in a World of Imbalance. Save the date 14-15 May 2019 and join us at the leading meeting place for purpose-driven business leaders. Registration opens in February 2019. The Summit will explore global challenges caused by inequality and what steps business leaders can take to address imbalances within their organisations, local societies, and beyond. Experts in technology, trade, inclusion, and more will share their insights through interactive sessions. The Summit brings together business leaders, investors, leaders of NGOs, politicians, academics, and civil society from all over the world. Here is an advance look at who will be joining the Summit in Oslo next May. More announcements will be made in early 2019. This entry was posted	on Wednesday, December 5th, 2018 at 11:59	and is filed under Blog, News. You can follow any responses to this entry through the RSS 2.0 feed. Both comments and pings are currently closed.